Chinese medicine can be utilized to treat allergies, arthritis pain, weight control, quitting smoking, back injury pain, musculoskeletal pain, fatigue and stress. Other illnesses and conditions that can be helped with Chinese medicine aredigestive problems, menstrual problems, and urinary problems. 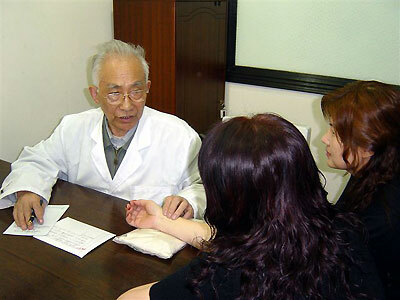 Chinese doctors greatly emphasis on lifestyle management in order to prevent disease before it occurs. Chinese medicine recognizes that health is more than just the absence of disease and it has a unique capacity to maintain and enhance our capacity for well being and happiness. Bianque, who regarded as the god doctor in Chinese medicine, applied the comprehensive diagnostic techniques of traditional Chinese medicines, namely, the four diagnostic methods: observation, auscultation and olfaction,interrogation, and pulse-feeling and palpation. "Observation" means looking at the appearance and tongue fur. "Auscultation and olfaction" refers to listening to the sound of the patient's speech and breath. "Interrogation" refers to asking about the patient's symptoms and "pulse-feeling and palpation" is just in the literal meaning that feel the pulse by fingers' touch.